My blog just turned one year old last November 28, 2008 and since Christmas is also near, I opted to make it into a single celebration! To thank God for the blessings He has given to me and to my family. Aside from that I am thanking Him for the good and generous people who sponsored my contest.This is also another way of thanking my friend online and regular visitors. Thank you for being with me throughout the year! God bless you all. Referred by: Name of the person who invited you.Additional Entries can be acquired by doing additional tasks found HERE. Note: Sponsors can join. You can post to as many blog as you want as long as it’s google cached to be considered as valid entry. Thank you very much for celebrating with me. Come and join! Let’s have a Merry Wacky Christmas and New Year!! I guess mommy wa nako is referral wa pa but I will post this in bisdak…. Goodluck…I’m sure it will be a great success..
uy mommy pwedeng pajoin dito.. hanggang kelan b to? i have also put up the widget in my sidebar. 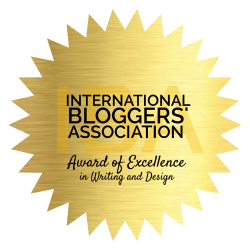 added to links/blogroll at Blogs Contests (5 entries). added to banner at Blogs Contests sidebar with link to contest post (3 entries). pede pa ga humabol dito, magsponsor ako ng 1000ec credits? I’ll be glad to post and join your contest! Thanks for the invite! wow super grande ang pakontes ah….good luck sa mag join! i’ll try to post in my other blog too. Referred by: you urself @ Ruby Posts. found it through EC dropping. mOmmy Rubs, i subscribed again through another email address. i posted din. and fave ka na so ala na akong points dyan. 🙂 I didn’t count the points earned so ikaw nalang pls ha. tnx. Total for this: 48 entries. congratulations on your blog’s one year anniversary!! ang saya nman dito pwedi pa join? ay change po technorati ko po ay “axarevalo” wala pong l thank you very much!! 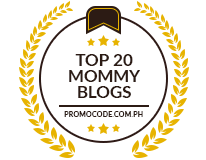 mommy, pag nagpa post ako bout sa contest sa mga blogs ng friends ko, may points ba yun? thanks! Hi mommy, just followed you on Twitter! Congratulations on your anniversary and happy holidays!!! Thank you for giving me chance to join the contest. Great prize. Also put you in my blogroll and your banner in my sidebar. Wow…. That’s a lot of prizes. posted the logo and listed your link in my blogroll here and here. All your site’s are favorated at techno and also i’ll subcribed to all your blogs. And the banners is added at my sidebar. Ate Rubs, count me IN! Hope and pray that I will win again….Yahoooo!!!!! Pasali din ako Mommy Ruby! Mommy, I have posted your blog contest on both my blogs, as well as add you to my blog roll on both blogs also. Also, I did all your additional tasks for additional entries. i L?V ContEsts aNd MoRe!! Optional Entries: Faved, Subscribed, and Linked all given domains using details above. Links page is dofollow. 4. i L?V ContEsts aNd MoRe!! Also added your banner to the contest post on my blog. hello girl can i still join the contest? yes, you can still join anne!